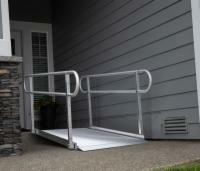 The Gateway Ramp with Handrails is a great way to increase your safety and mobility. 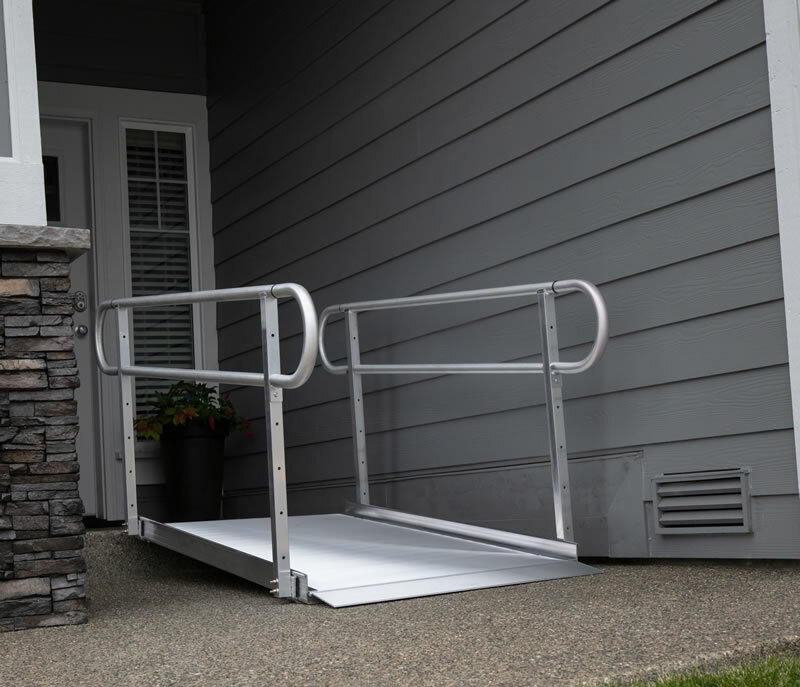 This solid ramp can accommodate any mobility device and provide you with a smooth way to transition over stairs and slopes. 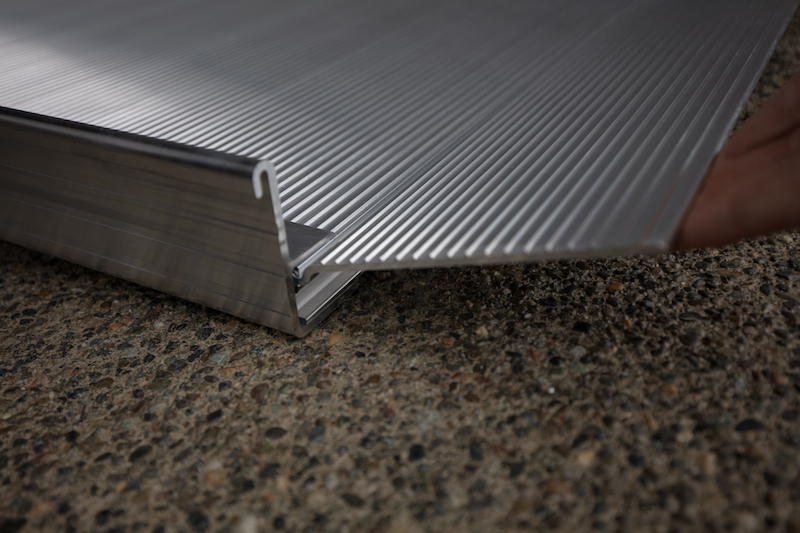 Our ramps are built using high quality aluminum that will not rust and is guaranteed to withstand the elements. Get this incredible value today!